Best Meditation Apps for guided meditation, chanting, and Yoga those help you to improve Anxiety, Managing Stress, Deep Sleep, Focus, Concentration, Happiness, Self-Esteem & more. Stressful life of the modern days develops a high level of anxiety and also one of the reasons of personal issues in relationships. The young generation too now becomes a victim of depression due to studies, competition, breakup, money and so on. Parties and alcohol become the part of modern day life and also another reason to lose the calmness of mind. But you can take out some time from your busy schedule to feed your mind the calmness and peace by performing the meditation. The meditation practice has been present between us from ancient time and people continuously using this technique to achieve good mental health. Even scientific studies have shown that the meditation is beneficial for mental as well as physical health. Meditation helps to remove the variety of ailments like insomnia, depression, anxiety and more. It feels strange that using a meditation app on a smartphone can help to reveal the stress. But there are many apps those can help you to control strong emotions, sleepless nights, thoughts coming again and again in mind and more. We have listed some useful, free and best meditation apps those definitely can help to get relief from stress if you follow them correctly. I am personally using an app called Headspace: Meditation app before going to sleep to get a calm mind and good sleep. The following best meditation apps are available to download for Android and iPhone iOS or both. We try to list free meditation apps so that you don’t need to spend money that could be another reason for having a stress. You can select any app from this best meditation apps list according to your need and smartphone platform. 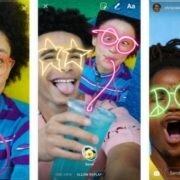 Some of these apps have both free and premium version that can unlock for additional features. 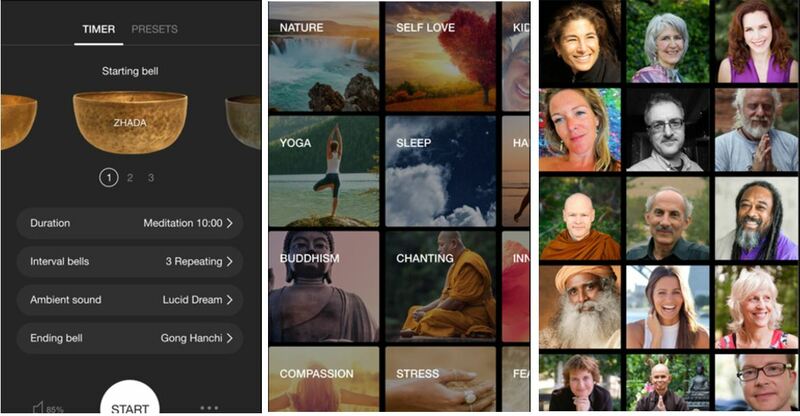 Also, many of these meditation apps have communities where you can interact with other users and can talk to them to guide yourself for meditation & mindfulness. Before using these best meditation apps know one thing, these apps just going to guide you but at the end of the day, everything depends upon your consistency and dedication for meditation. Also, the apps mentioned below are best meditation apps because they have highest users rating in their respective app stores. Here is the list of Free and Best Meditation Apps for Android and iPhone. The Meditation app Insight Timer is completely free app features around 5300 free guided meditations, 35 meditation playlists, 850 meditations sound tracks, 1,200 meditation teachers and 4,300 discussion groups and local meet-ups. This free guided meditation app also lets you customize meditation interval and background to get the exactly what you to feel stress-free. 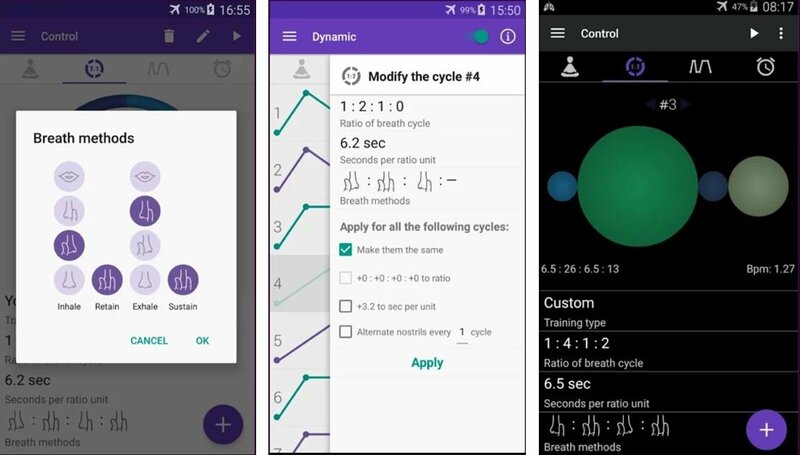 Other features of this app are Deeply peaceful bells with polyphonic overlay, ambient background sounds, synchronization between devices, Integrates with the Apple Health app and more. We used this meditation and feels it better than the headspace free version. Headspace is a great meditation app but the free version has limitation and the only basic pack is free to use. If you like the basic pack then you can go for the paid one. 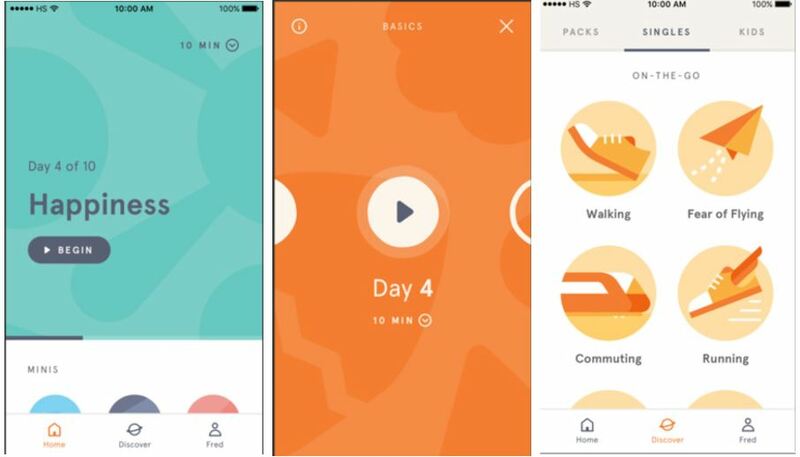 The basic pack of Headspace app is designed to give 10-minute meditation exercise so that newbies can use to it. To use the app, first of all, you need to sign up and then you get 3 basic pack including 30 minutes free session Anxiety to sleep and focus. You can invite your friend using his/her email address to help each other. The user interface of Headspace app is quite good and easy to understand. The calm app provides guided meditation, a 10-minute daily calm program that you can practice before begins your day or in the evening. The guided meditation sessions of calm come with selection ranges in lengths of 3, 5, 10, 15, 20 or 25 minutes so you can choose the perfect length to fit with your schedule. While in this sessions the topics included in the CALM app are 7 days of Calming Anxiety,7 days of Managing Stress, 7 days of Deep Sleep, 7 days of Focus and 7 days of Concentration, Happiness, Self-Esteem, Body Scan, Walking meditation, Calm Kids and more. The app has 7 day and 21 programs for both beginner and advanced users which provide an introduction to mindfulness and meditation. 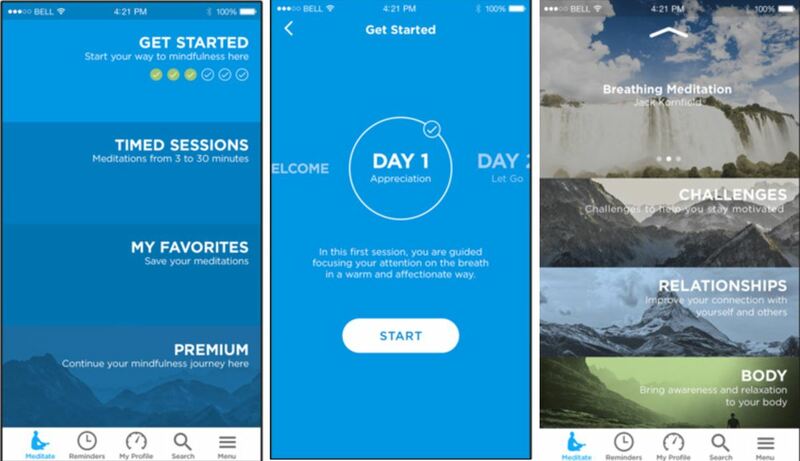 Both beginners and the advanced user can use the calm app for guided or non guided meditation. 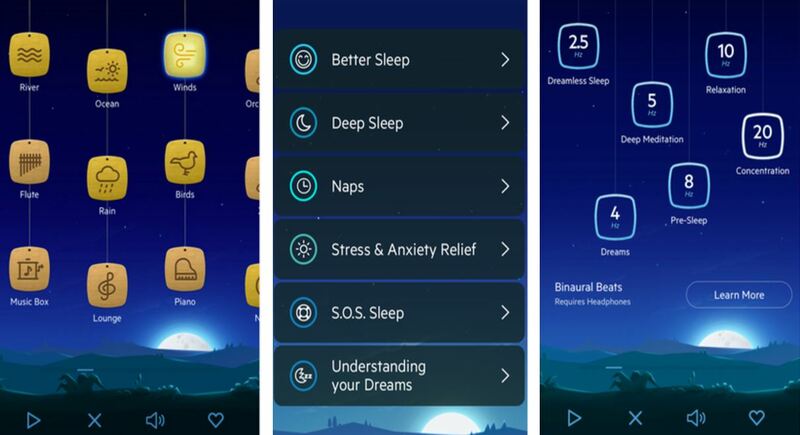 Some other great features this meditation app provides are sleep stories, breathing exercise, unguided timed meditation, openly ended meditation and 25+ soothing nature sounds to help in meditation, yoga or to improve sleep quality. Five days guided meditation practice and introduction to mindfulness are the first things you see in this to get started immediately. The Mindfulness app features 3 to 30 minutes guided and silent meditations timed session, personalized meditation that allow you to customize your meditation with guided meditation and bells, meditation reminders, mindful notices, and track your meditation growth. It is really a very helpful app for beginners to become a perfect meditation practiser. 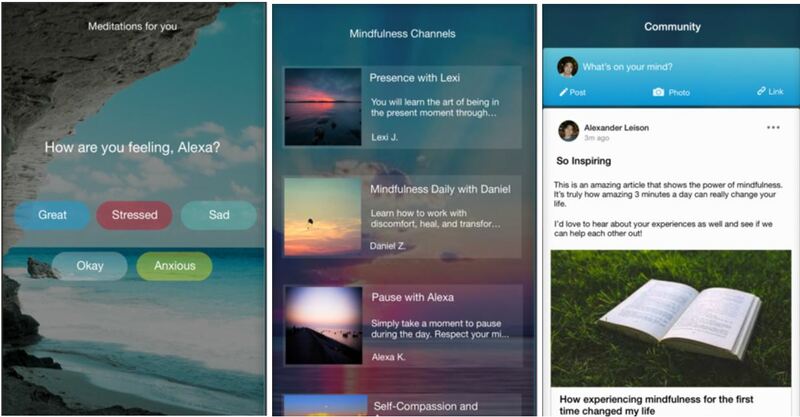 Mindfulness app is available for both Android and iPhone. The Omvana is another app almost same to the apps mentioned above that work in guided way to improve mindfulness. 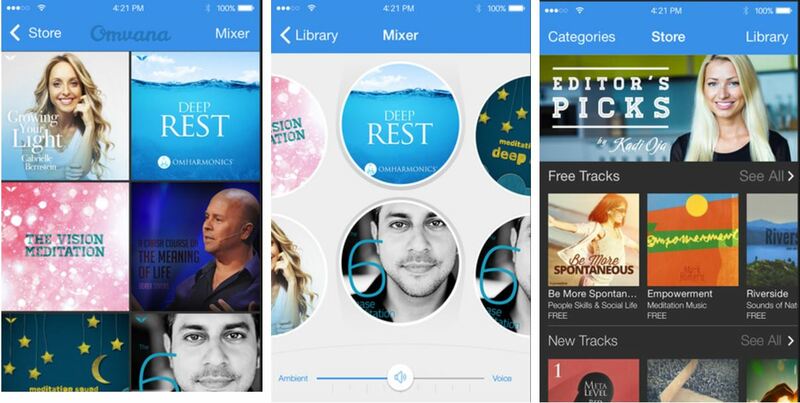 Omvana meditation app is generally focused on music to provide relaxation. The different thing this app feature is the mixer tool to select a perfect mixture of vocals and background sounds to get customize meditation experience. The app has 1000s of high-quality audio tracks, ambient sounds, binaural beats, and narrated guides. The variety of audio tracks it includes focuses on different things such as some for mindfulness, stress releasing, relaxation, sleep and more. You can even save your customized audio track for future use. The app can also integrate with the Apple’s health kit in order to tell about your stress level by analyzing the heart beat patterns. If you have trouble in sleeping than the Relax Melodies app can help you via a wide range of sounds. More than 100 sounds collection in this app including nature sounds, ambient melodies such as rain, sea shore, wave, wind chime and more, White noise, pink noise, brown noise, etc. , and six different frequencies of binaural beats and isochronic tones to help you relax, sleep and dream. This app can help you in insomnia, nighttime anxiety, tinnitus also works wonders on babies and children. 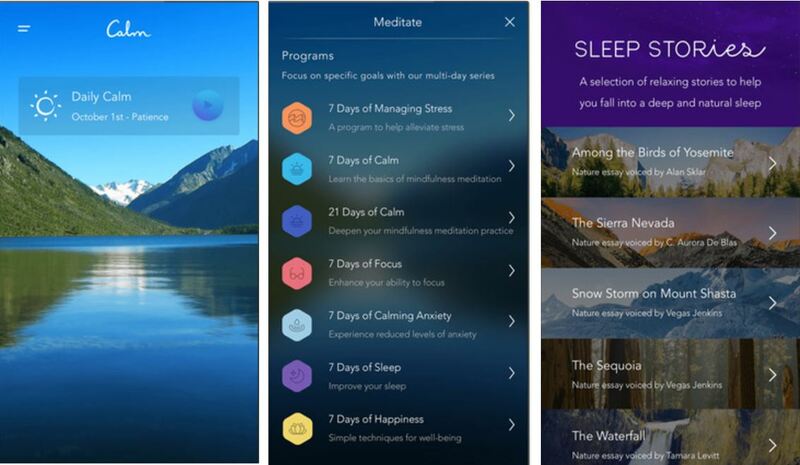 The Aura app is one of the highest rated meditation apps on the Apple app store. 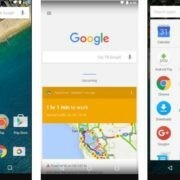 As company claimed that it is an AI driven mindfulness meditation app that works on the concept to meditate 3 minutes each day. The meditation has customized in this app according to one’s mood and feels such as Sad, Okay, Anxious, Great and stressed. 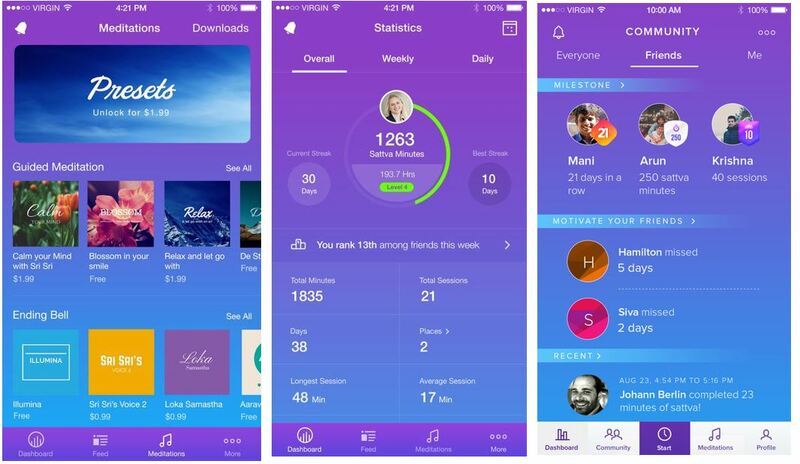 The Aura meditation app also includes a mood tracker that learn about your mood patterns, so that you can see your improvements. Other useful features are daily reminders for medications, Apple’s health integration, and various relaxation sounds and music for unguided meditations before sleep. 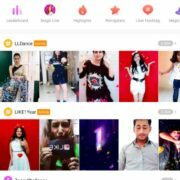 You can also use the inbuilt community to share your experiences and to read others. In our best meditation apps list, the sattva is the app with personalizing dashboard that can customize according to need by tapping the app’s widgets icon. Besides standard meditation features the Sattva includes guided meditation, ancient chants, meditation music, timers and mood tracker. The app can also monitor the heart beat rate before and after the meditation using the Apple Watch. You can create your own playlists of chants and can share it with your friends, moreover, you can also add chants from your phone. Also, provide virtual meditation lounge & meditations community. Perfect meditation app for those who do yoga and want to learn to breathe patterns to improve calmness. The app is totally free and doesn’t show any advertisements. It features different training patterns related to breathing such as 4-7-8 breathing, Kapalbhati, Anulom Vilom, Nadi Shodhana, Tummo, and Udgeeth. All the included patterns were taken from Pranayama, Sufi, and Tibetan breathing practices. It also helps in quitting smoking by using the features called cigarette replace. We have selected these best free guided meditation apps on the basis of personal experience, availability, ratings, user reviews and overall user interface experience of the app. 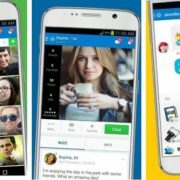 If you know any other app which you are using personally and got benefits from that, please mentioned that in the comment and we will try to include that in this best meditation apps list. How did you miss Deep Sleep 3D iOS app?